If you sell products or provide services to others, then you likely have some level of intellectual property that requires protection. Your business name, logo, slogan, or even that unique product design act as trademarks for your products or services, which signify and separate your business from your competitors or cheap knock offs. Most businesses never think to protect these integral parts of their business, which can be an expensive mistake. While the Federal trademark application process may seem intimidating or outrageously expensive, it pales in comparison to the issues you may face if you do not learn of potential infringement or even have another company register your trademark first. 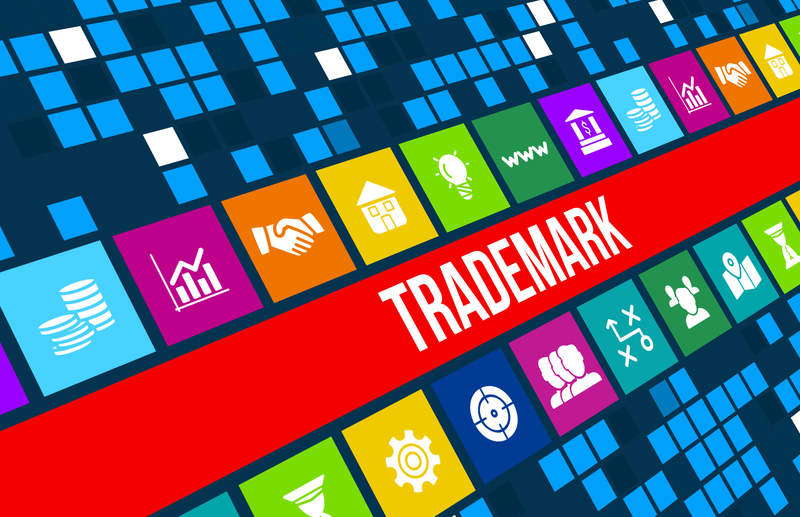 This article will cover the importance of trademark protection and some of the most pertinent considerations when starting your new business. A trademark is any name, word, symbol, or device that you use to distinguish your business from those other businesses in your market. Traditional trademarks include a business name, colors, logo, slogan, and even a company mascot. However, more recently, trademarks include the design of products (Apple’s i-Phone design), the original layout of your store or restaurant (Taco Cabana), or even sounds (The Old Spice Whistle). Trademarks are protectable at several levels and it is necessary to determine what level of protection is required. As soon as you begin selling products under a name, or provide services under a name, you have created a common-law trademark. However, your common-law trademark rights are limited to the geographic region in which you are selling, which makes it a very limited protection. Officially filing for trademark protection with either an individual state agency or with the United States Patent and Trademark Office will legitimize your claim to use of a trademark. Federal and State registrations afford different levels protection; however, the Federal trademark provides the most comprehensive level of protection. WHY SHOULD I FILE A TRADEMARK APPLICATION? You can operate on a common-law level with your trademark, however, as mentioned above, this will only protect your use of your mark within your geographic scope, which is limited to areas you can show sufficient sales or business contacts. Filing a federal trademark application with the United States Patent and Trademark Office, will afford you the strongest protections for the use of your mark. However, you have to file an application, but you should not be worried about the price upfront, as the costs associated with recovering a mark can be much higher than the government filing fee. Additionally, when filing an application, you may discover that someone else within your market has used the same or similar name to you for a federal trademark application, which will give you the ability to make a change or reach out to the other party. Ultimately, if you can secure a federal trademark registration, you will be given several valuable protections. As the registration holder, you will be given the presumption of ownership of the registration, which means if anyone wants to question your claim to the mark, they will need to provide evidence of superior use. Additionally, there are presumed or statutory damages associated with infringement of a federally registered trademark. More recently, federal trademark registrations have become the most effective way to enforce your rights in a mark through social media (Facebook, Twitter, and Instagram) and e-commerce platforms (Amazon, or Ebay). WHAT CAN’T I DO WITH MY TRADEMARK? Now that you have trademark registration, there are still some limitations that you must be aware of. First, your trademark protection is limited those products and services listed within the registration, and extends to related markets if there is a likelihood of confusion. Therefore, if you are musician, you cannot go after a plumbing company for using your performance name because the likelihood of confusion is slight (Delta bathroom fixtures and Delta Airlines). A Trademark registration does not grant you blanket ownership to a name, phrase or logo. Additionally, all trademark rights in the U.S. are based on who was using the mark first in commerce. Thus, even if you secure a trademark registration, it may be subject to cancellation if there is another company that may have been using your mark first in commerce. This is a rare situation, but it does occur and a reason that Chester PLLC always provides a clearance search prior to filing. WHAT ELSE DO I NEED TO KNOW ABOUT TRADEMARKS? All trademarks are based on use, however, you can file a federal trademark application based on intent to use the mark in the mark in commerce. Upon registration of such an application, you will be given a statutory date of first use of your original application filing date. Additionally, this will provide you with a place in line, and will not allow others to jump ahead of you in the process. Use in commerce, for trademark purposes means that you have sold products, or provided services, in the ordinary course of business in multiple states, or commerce which may be regulated by Congress. This means you must have made sales or provided your service in more than one state, or provide the product or service in such a way that it extends to other states. There are serval ways to signify trademark rights to others. As a common-law trademark holder, or as an applicant waiting for registration, you will want to use a TM or SM to signify your rights in the mark. Once you receive a federal trademark registration, you can then begin using the ® symbol, which symbolizes a trademark registered with the USPTO.